The St. Louis Cardinals system went 3-4 on Sunday. Player of the Day Alex Fagalde fanned eight in six scoreless innings for Palm Beach. Other mound standouts include Angel Rondon of Peoria and State College’s Eli Kraus. Recaps of games played on Sunday, August 12. Starting with five runs in the bottom of the first inning, the Dodgers cruised to a 9-0 victory over the Redbirds on Sunday night in Oklahoma City. Memphis starter Jake Woodford took his third Triple-A loss after allowing eight runs (four earned) on 11 hits across his four-inning outing. Matt Bowman and Brett Cecil each turned in a scoreless inning before Landon Beck allowed a run in the eighth, his second inning of work. The Redbirds offense managed only two base hits. Center fielder Tyler O’Neill and catcher Steven Baron singled, and shortstop Tommy Edman was on base via two walks. Sloppy fieldwork by the Redbirds helped fuel the Dodgers’ big night. O’Neill made two errors in the field, Baron had a passed ball, and right fielder Justin Williams committed a throwing error. Monday’s game: Kevin Herget (8-8, 4.46) vs. New Orleans Baby Cakes, 6:35 PM Central time. The Cardinals couldn’t get much going at the plate and fell to the Hooks, 6-1, in Corpus Christi on Sunday. Second baseman Andy Young, left fielder Johan Mieses, designated hitter Andrew Knizner, and center fielder Chase Pinder each had a base hit, and Pinder and catcher Jeremy Martinez drew one walk apiece. Young and Mieses were hit by a pitch to account for Springfield’s baserunners in the game. 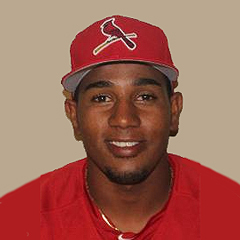 Shortstop Jose Martinez drove in Knizner to account for the Cardinals’ only run, which came in the fifth inning. Springfield starter Anthony Shew surrendered six runs, all earned, across his 4 2/3 innings. Junior Fernandez, Derian Gonzalez, and Seth Elledge combined for scoreless relief following Shew. Next game: Matt Pearce (0-4, 5.76) vs. San Antonio Missions, 6:30 PM Central time on Tuesday. Two runs were enough support, as the Cardinals’ pitching led the way in a 2-0 home win over the Flying Tigers on Sunday. Palm Beach starter Alex Fagalde, our Player of the Day, turned in six scoreless innings with eight strikeouts to improve to 3-0 since his promotion to the Florida State League. In relief, Yeison Medina worked three frames to preserve the win and earn his second save. In the sixth inning, third baseman Elehuris Montero and second baseman Irving Lopez each knocked in a run. Catcher Brian O’Keefe and Montero scored. Though they were victorious, the Cardinals were outhit by the Flying Tigers, 4-3. The Cardinals drew five walks, however, including three by O’Keefe, to help fuel their rally. Monday’s game: Adam Wainwright (rehab debut) vs. Tampa Tarpons, 5:30 PM Central time. With a run in the eighth inning and superb pitching throughout, the Chiefs enjoyed a 2-1 victory over the LumberKings at Dozer Park on Sunday. Peoria designated hitter Luken Baker hit a solo home run, his fourth of the year, in the fourth inning to get the Chiefs on the board. With the score knotted at one in the eighth, third baseman Nolan Gorman drove in shortstop Rayder Ascanio, who represented the go-ahead run for the Chiefs. 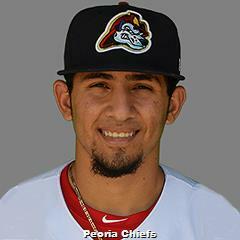 Chiefs starter Angel Rondon worked seven innings of one-run ball, one of his best outings as a member of Peoria’s pitching staff. Rondon exited in a tie game, however, so it was Robbie Gordon who took home the win. Gordon worked a scoreless eighth, and Kodi Whitley earned his eighth save with a clean ninth. 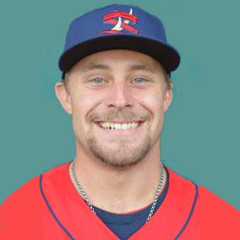 Monday’s game: Jake Dahlberg (1-1, 3.75) vs. Clinton LumberKings, 7:00 PM Central time. Plenty of run manufacturing on Sunday led the Spikes to a 9-3 win over the Doubledays. This is the Spikes’ ninth consecutive win on the road. 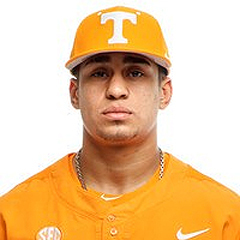 Two Spikes – right fielder Justin Toerner and designated hitter Walker Robbins – had three hits, and four – center fielder Wadye Ynfante, second baseman Nick Dunn, third baseman Stanley Espinal, and left fielder Lars Nootbaar – had two hits. Catcher Alexis Wilson and first baseman Brady Whalen each doubled, and if you’re counting, that is 16 hits for State College in Sunday’s game. Espinal had three runs batted in, and Ynfante and Dunn drove in two apiece. 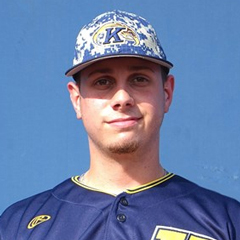 On the mound, Eli Kraus turned in five shutout innings with just one hit allowed and notched his first win as a professional. Reliever Edgar Gonzalez allowed three runs in the sixth before the trio of Cory Malcom, Will Changarotty, and Kevin Hamann worked one scoreless frame each to close out the victory. The Spikes are off until Wednesday, as the New York-Penn League All-Star Game is Tuesday. State College will host the contest at Medlar Field at Lubrano Park at 6:05 PM Central time on Tuesday evening. Three runs in the second inning, two in the third, two more in the fifth, and four in the sixth led the Pirates to an 11-3 win over the Cardinals in the first game of Sunday’s doubleheader. Johnson City starting pitcher Kyle Leahy worked five innings, during which he surrendered seven earned runs on nine hits and two walks. Leahy sustained the loss, as his record for the Cardinals evened at 2-2. Juan Alvarez allowed four runs before David Oca pitched a scoreless seventh. Second baseman Donivan Williams hit a two-run home run, his fifth long ball of the season. Left fielder Leandro Cedeno drove in a run to account for Johnson City’s third and final run of the game. In more of a quiet fashion, the Pirates took the second game of Sunday’s doubleheader sweep, 2-1. Cardinals starter Colin Schmid worked five innings and allowed two runs, both in the top of the third inning. Parker Kelly pitched two scoreless frames in relief, but the Cardinals’ bats did not prevail. 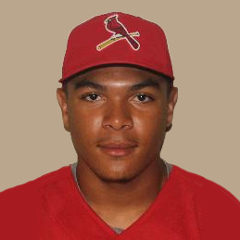 Johnson City right fielder Brian Sanchez scored on catcher Benito Santiago’s single in the second inning, accounting for the Cardinals’ only production. Shortstop Moises Castillo doubled for the Cardinals’ only extra-base hit in Game 2. Monday’s game: TBA vs. Bristol Pirates, 6:00 PM Central time. The first-place Gulf Cardinals were off Sunday and will continue play on Monday against the Astros. First pitch of that game is set for 11:00 AM Central time. The Dominican Summer League always takes Sundays off. On Monday morning, 9:30 AM Central time, the Cardinals Blue will play at the Angels while the Cards Red squad remains home to face the Mets2.